Thirty years after it was written, The Promise of World Peace is still as timely as ever. This is a reprint of our most popular edition. 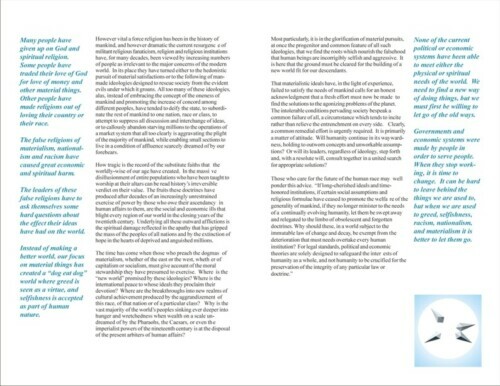 It includes a running summary of each paragraph in the side margins of each page. Thirty years after it was written, The Promise of World Peace is still as timely as ever. 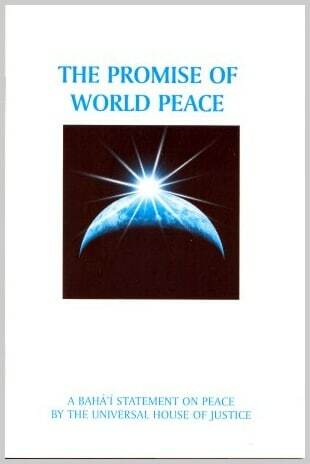 This is a reprint of our most popular edition of the promise of peace. 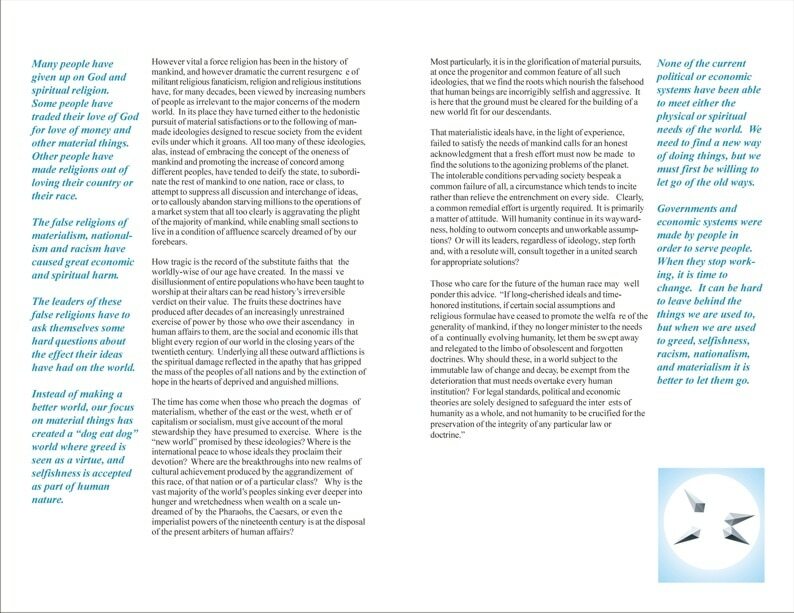 It includes a running summary of each paragraph in the side margins of each page. These simplified summaries make it easier for the average reader to grasp the main points that are often presented in PhD-level language. They also make it easy to find the section of the statement that you are looking for when you are talking with someone or are in a study class. Printed in two colors and 24 pages long, it is both attractive and affordable. After having been out of stock for over a decade, this printing was made possible by the audacious purchase of 1000 copies by a customer who will be traveling the country giving them away. Grab the balance of the printing while you can. I don’t think I’ll have the chance to print it again once these are gone. The Promise of World Peace is one of the most well-knows documents produced by the Universal House of Justice of the Bahai Faith. 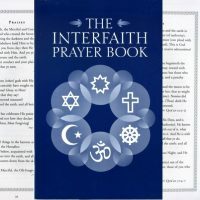 It was distributed in 1985 for the International Year of Peace. It outlines the major requirements and obstacles for peace. It has been presented to at least 198 heads of state, has been translated into 76 languages and over two million copies have been distributed. If you just want to read it, you can do that here.